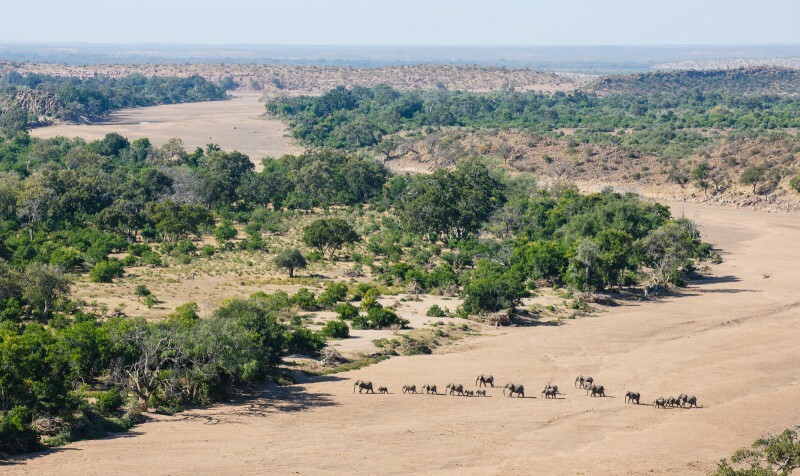 Molema Bush Camp is situated on the banks of the Limpopo River in the Tuli Block, about 30 km downstream from Platjan Border in the eastern-most corner of Botswana. Molema is located on privately-owned land immediately to the west of the Northern Tuli Game Reserve, in an area soon to be incorporated into the Greater Mapungubwe Transfrontier Conservation Area (TFCA), and is very easily accessed from South Africa. Tuli Wilderness’ private and exclusive 24 000 acre unfenced concession of Botswana wilderness makes an ideal getaway or stop-over point for travellers between Botswana and South Africa. 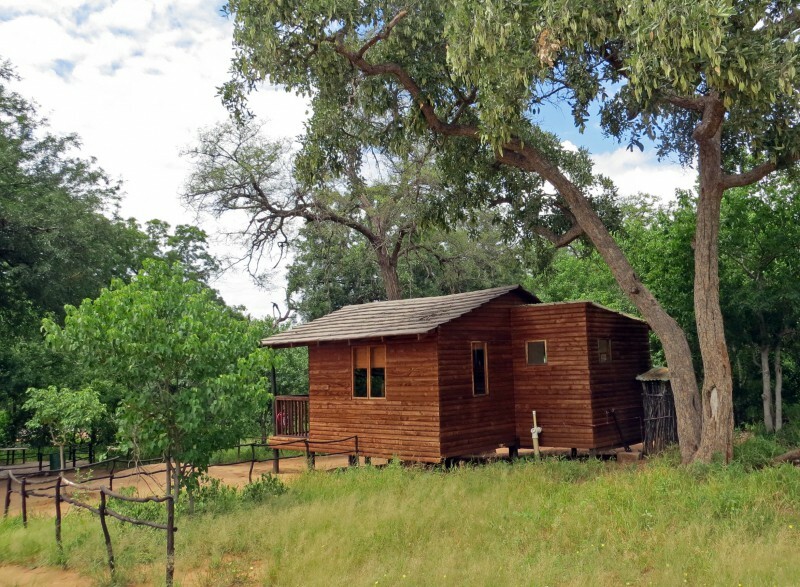 Molema offers self-catering accommodation in wooden chalets, permanent dome tents and camping sites. 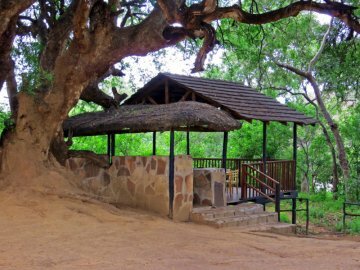 The accommodation is exquisitely located close to the banks of the Limpopo River, shaded by huge Leadwood and Mashatu trees. There are 4 wooden chalets, each with an en-suite bathroom (shower, toilet, basin) veranda and braai stand. These are comprised of three twin chalets and one family chalet (double bed & bunk bed), each +/- 20m2. One chalet is in a very private site overlooking the Limpopo River, but please note that it is 300m from the kitchen. Towels, bedding and bathroom amenities are provided in the chalets, along with a daily housekeeping service. There is a fully-equipped kitchen (fridge, freezer, gas stove, cutlery, crockery, glasses and cooking utensils) and boma area available for chalet guests. There are 3 camping sites, each with private ablutions (shower, toilet, basin) and a braai stand. A maximum of 8 persons / 2 vehicles are allowed per site unless the entire campsite is booked by the same group. There are 2 permanently-erected dome tents, each containing 2 ‘camp cots’ supplied with linen and a private ablution shared between the 2 tents. Please note that Molema Bush Camp is unfenced and there is no electricity. Lighting is provided by paraffin lanterns and hot shower water is created by gas and solar geysers. Firewood can be purchased from the office (with all proceeds going to the community). There are no shops nearby so please ensure you have all food and drinks/ice for the duration of your stay. When traveling from South Africa the last shops prior to your arrival at Molema are in Alldays, and from within Botswana in Bobonong, Mothlabaneng and Mathathane. Molema is great for birding, and guests may walk within the designated grounds which includes an attractive riverine area. 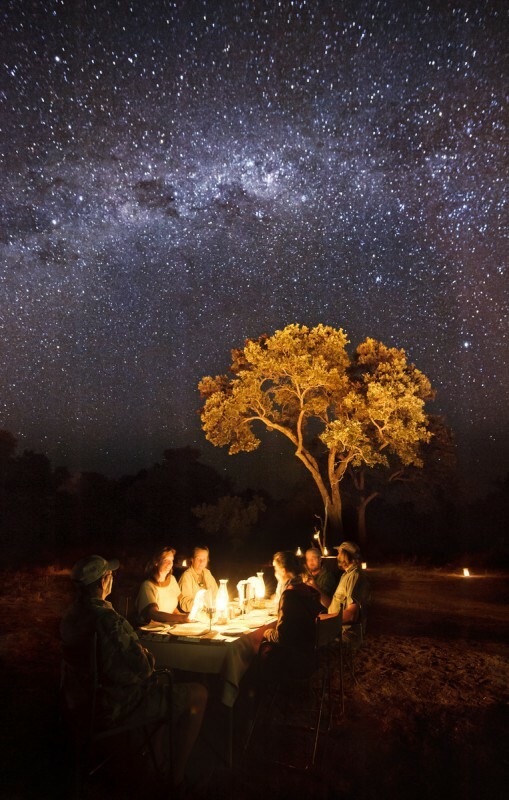 Game drives, night drives and bush walks are available but it is recommended to pre-book these in advance as there is a possibility of limited availability - activities cannot be guaranteed without prior reservation. The game drives and bush walks depart directly from Molema Bush Camp. Children under the age of 12 are, unfortunately, not permitted to participate in bush walks. Cultural tours are on offer. Guests need to drive themselves to the village where the tour takes place (a drive of between 25 and 40 km depending on the village chosen). The tours are undertaken in a traditional donkey cart and include visits to the craft-makers, school and clinic. Visitors will get to see the milking of cows and the rate includes a traditional meal with a local family. A 4x4 trail will also soon be available in the area outside of the Tuli Game Reserve and guests will drive their own vehicles on this, taking along a local guide to show them the route. We recommend taking a picnic lunch along to be enjoyed at one of the many scenic spots where you can stop-off. Please note that there is no longer a self-drive trail operational within Molema and self-driving is only permitted within the village areas on the guided 4x4 routes.